Kamia masquerade mask is a durable hard molded plastic mask. More durable than paper mache. 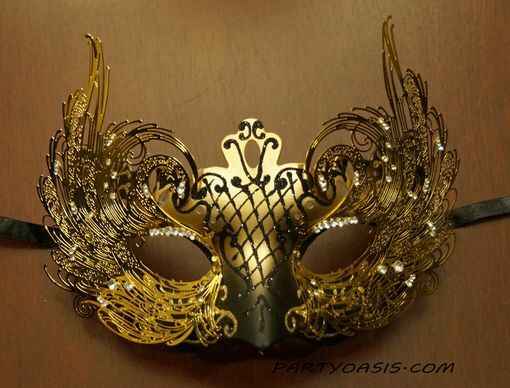 The mask has matching glitter design, ornate gold, metal wings, adorned with jewels. Comes with a black ribbon tie. Available in purple, black, or red.